First, you want to do a local iTunes backup so that you have the SMS database on your computer. iPhone SMS Backup tool helps to preview all messages or save them to computer. b. Under Summary, click on Back Up Now in the Backup section. iTunes will start backing up your iPhone data as well as text messages. Note: iTunes will not allow you preview the backup data. There data stored in iTunes are in SQLite database form. You need third party tool to preview or save text messages. Once the installation is complete, Open SMS Backup in your computer. 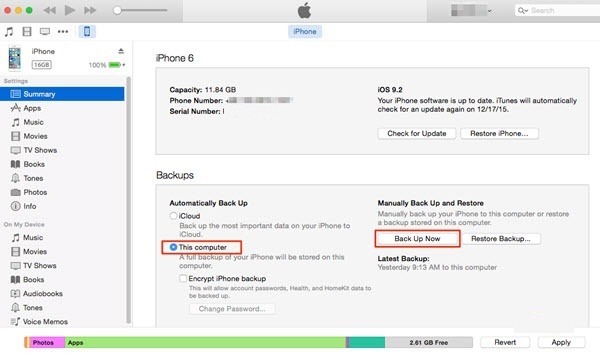 If there is already local backup of your iPhone, it will be shown as below screen. If you don’t see your Device in the list, please check whether you have completed Step 1 properly or not. 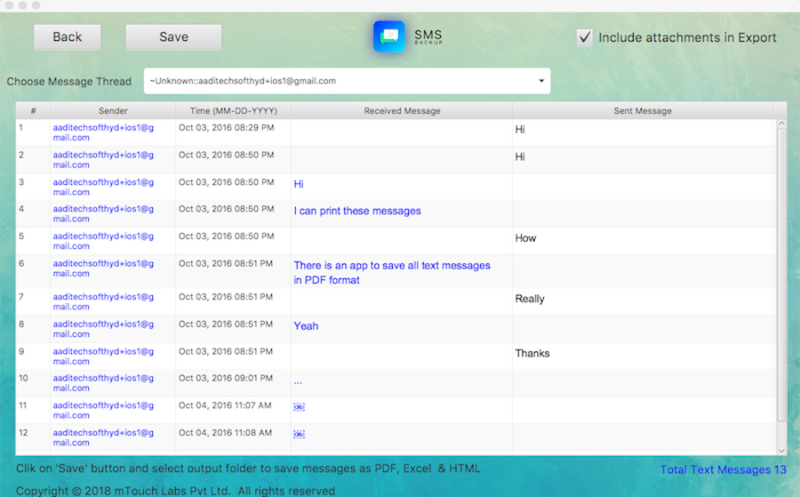 Choose the device from which you want to save text messages and click “Next” to preview all messages as shown in below screen. If you face any difficulty while saving text messages from iPhone to PC, please contact us through support@iphonesmsbackup.com. We ensure that any query will be answered under 24 hours.